Focuses on identifying the seven keys steps in implementing a comprehensive violence prevention program and defining management’s role in overall implementation of the program. Focuses on increasing supervisory personnel’s awareness of the scope of the problem of workplace violence, the legal implications, your company’s policy on workplace violence, early warning signs and how to recognize them, methods for de-escalating potentially hostile situations and how to enlist employee support in helping to prevent workplace violence. Focuses on increasing employee’s awareness of the scope of the problem of workplace violence, knowledge of the company’s policy on workplace violence, early warning signs, methods for de-escalating potentially hostile situations and employee’s role in supporting the firm’s workplace violence prevention effort. Special attention is focused on the importance of reporting threats and incidents to give management a chance to intervene before violence occurs. Focuses on increasing the awareness of managers, supervisors and employees regarding the impact of domestic violence issues spilling over into the workplace and how to effectively deal with this personal and highly charged issue. This module is generally presented as part of one of the other courses, however, it can also be offered as a stand alone workshop. the seven factors that increase the likelihood of violence in an organization. the three primary variables that must be present for violence to occur and how to appropriately intercede to interrupt the aggression progression cycle towards violence. 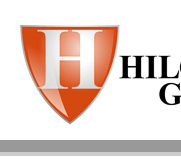 The Hilgeman Group’s Organization Model for Preventing Workplace Violence® and how to implement a 'Zero Incidence' approach to violence prevention. This course is primarily targeted at people whose jobs involve dealing directly with the public or clients in positions such as over-the-counter personnel, customer service representatives, civil rights/discrimination complaint takers, motor vehicle counter representatives, etc. It ‘goes beyond’ dealing with difficult people to teaching participants how to prevent aggressive behavior from escalating towards violence. Content areas include assessment of and enhancing emotional intelligence and conflict resolution skills as well as increasing understanding the role that each individual can play in containing hostile behaviors and how to stay calm when confronted with hostile situations. In many organizations the support staff (human resources, risk management, safety, security, training, etc.) is given the lead role in addressing workplace violence prevention and therefore, must oftentimes possess a high level of expertise in understanding how to appropriately address workplace violence. This workshop is focused on understanding the overall role of a Threat Management Committee, the fundamentals of an effective workplace violence prevention program, and the tools and resources necessary to be successful. Special emphasis is placed on the unique role that the support staff can play and how to lead the organization to implement an effective workplace violence prevention program.